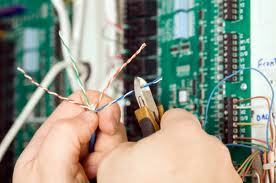 Ongoing Operations uses a robust installation methodology. Our Certified Project Managers follow industry best practices to guide you through the installation process. Our team leverages Microsoft Project tools to deliver a consistent on-time installation experience. Here are the main steps in Hosted Lync Installation. The first step in all of OGO’s projects are a kick-off meeting. In this meeting, a project manager is assigned to you and will be responsible for helping you through the installation process with regular meetings and any other help necessary. Data Collection – OGO collects user names, license levels for each, company Admins, billing contact etc. This is done via a spreadsheet for smaller installations or can be automated in larger ones. Once we receive the information we move to verification. Data Collection verification – Level II Support confirms data and validates formats. Once the data is ready we will schedule an upload into the platform. Training for Company Admins in Cirrus – including how to open support tickets, moves, adds or changes, and employee add/remove features. After you have moved to the new platform, users are trained and things are quite – we will follow up on any outstanding issues and review the billing. At that point, you will be turned over to our awesome support team.